Guess what? One of our Style Matters podcast listeners wrote us with a great idea.... she asked if we could suggest some design books to give (and to wish for) for the holidays! YES! Of course we're happy to do that! We geek out on this stuff (and we know you do too, so don't pretend otherwise). So here goes..... our fave design books PLUS, our suggestions on whom each book is best suited. 1. Never Stop To Think ... Do I Have A Place For This? 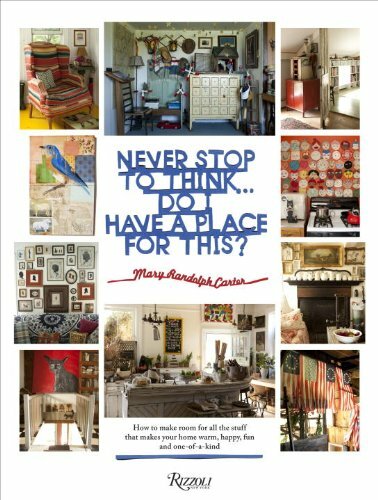 We adore Mary Randolph Carter and consider it a badge of honor that she has said we can just call her "Carter," as all of her friends do. We had the absolute pleasure of meeting her in person after interviewing her about her most recent book, "Never Stop To Ask, Do I Have A Place For This?" She has been working in the design field for many years, mostly with Ralph Lauren on his home decor line. We loved the stories she told about meeting and working with him, as well as her descriptions of her own style and her life-long devotion to antiquing and "junking." If you haven't already, this would be a great interview to listen to while you're getting ready for the holidays. And if you are a collector (or if you are a minimalist but have a friend who you'd call a "hoarder,") then this book will feel like heaven! When we interviewed lifestyle blogger Sharon Santoni, she really brought us into her world, where she lives in an old farmhouse in the French countryside. She's from England but has lived in France for all of her adult life and has embraced the French attitude toward decor. We're recommending her first book, "My Stylish French Girlfriends," because we how love the women she interviews incorporate beauty into their everyday lives. Decoration, of the home and the body, are not just for special occasions. And the homes shown in this book express an attention to detail that we just love! 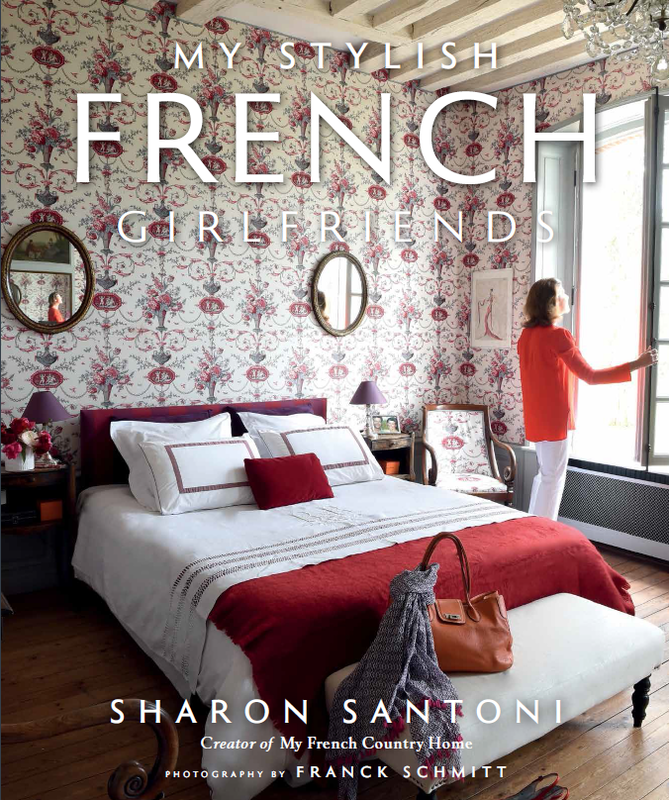 If you have a Francophile on your list, they will love this book! And she also has a newer one that that features her own farmhouse called, "My French Country Home." We recorded our interview with Justina Blakeney of The Jungalow last month but we haven't aired it yet. Be on the lookout in January! In the meantime, be sure her newest book is on your wish list. If you loved "The New Bohemians," you're going to get a lot out of "The New Bohemians Handbook." What really impresses us about it is that she has broken down some of the hard-to-define elements of style so that you can actively explore your bohemian vibe. Naturally the book is full of beautiful bohemian interiors, but you can still learn so much even if you only want a small part of the boho look in your home. The great thing about the book, "Urban Jungle" is the enthusiasm of its authors, Igor Josifovic and Judith DeGraaf. If you aren't already a plant lover, you're going to be surprised at how quickly your home becomes an indoor garden after reading this book! These two lovely people behind Urban Jungle Bloggers have worked together to produce a style guide for gardeners and a plant care guide for interior design enthusiasts. In other words, they can expertly talk about both the worlds of plants and homes. There's been a lot of interest in succulents, ferns and indoor trees lately but Igor and Judith really carve out the discussion about how to style with plants. You can hear their passion on the subject in our interview, which is a really nice companion to the book. Textile designer Rebecca Atwood has nailed it with her book, "Living With Pattern!" She demystifies all of the layering that the pros do to create a collected look that comes from a genuine place. And it's not just pattern that she discusses. She also talks about how to mix in color and texture in your home. 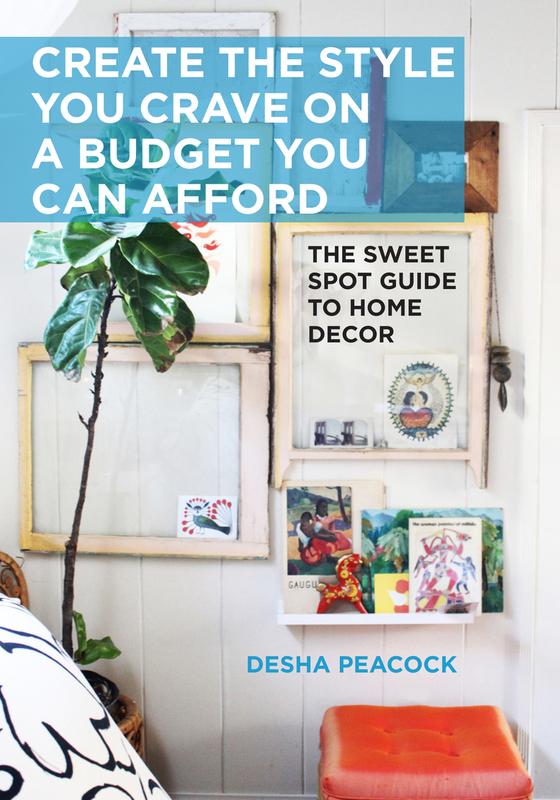 While it's a beautiful coffee table book in it's own right, it's also full of useful tips that you'll want to soak up over time. When we talked with Rebecca, she shared what her life has been like behind her success, including how she got started, her creative influences and what it's like to run her business. She is such a lovely person and we know you'll be inspired. You can hear our interview with Rebecca here. 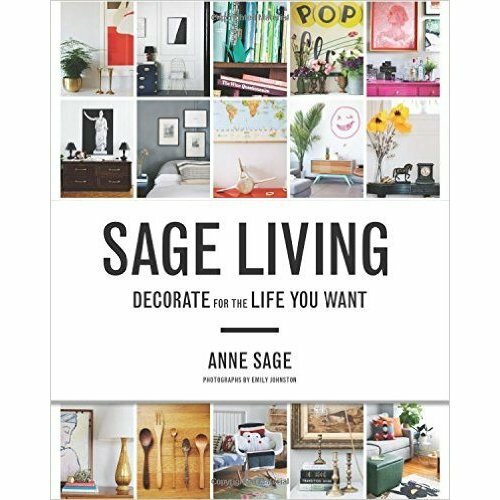 Anne Sage is an interiors, fashion and lifestyle blogger and also the author of one of our favorite design books, "Sage Living." She wrote the book after making a big life change and it's focus is on how her home helped with her transition. She talks candidly and helpfully about how your design decisions can have a positive (or negative!) affect on your personal goals and emotional well being. We love a book that talks about the substance behind style so this one is right up our alley! One of our favorite interviews was with Desha Peacock. She really gets why style matters, which she shared through vivid examples from her own life. This is her first book and we think it's the best one out there if you're struggling with a case of Keeping Up With The Jonses. Interior design can get so expensive and can become a game of who-has-the-most-money. But Desha knows that money has nothing to do with style! This book is full of practical solutions and inspiring photographs. We also have to mention her beautiful second book, "Your Creative Work Space", if you're looking to spiff up the spot in your home that's all about YOU. Desha is all about finding your sweet spot when it comes to every aspect of your life and both books illustrate this perfectly. You can listen to our interview with Desha here. Ok, Karen and I agree that "Novel Interiors" is our absolute favorite design book of all time. It's written by the talented artist, Lisa Borgnes Giramonti, and has the most creative premise for a design book we've ever come across. She looks through the books that have resonated with her over the course of her life and culls out the style and design guidance scattered through their pages. She explains how we have infused meaning into both the books we've loved and our evolving personal aesthetic. While most of the books have nothing really to do with interior design, the authors have all been masters at creating atmospheres that affect their characters. And that atmosphere is what Lisa is after in each of her chapters. In our interview with Lisa, you can immediately tell that she's a complete book worm and has thoroughly absorbed her favorite books. 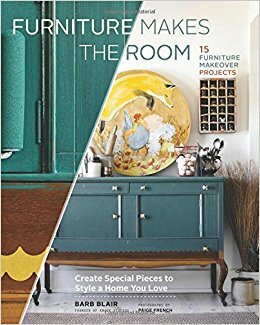 This book is the perfect gift for any book lover who also cares about interiors. And if you're a bibliophile yourself, you absolutely must own it!